MOTIVATED SELLER PRICE JUST REDUCED !!!!! 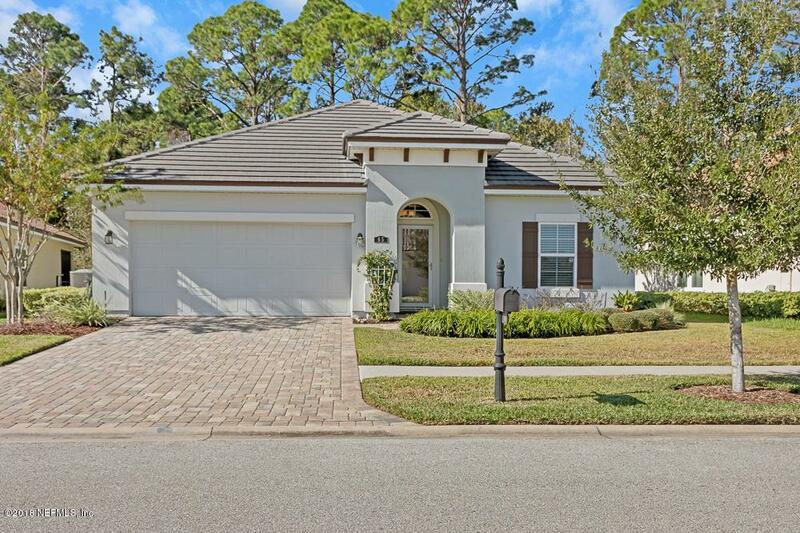 This Stunning 2 bedroom 2.5 bath pool home is located in sought after St Johns County minutes to shopping, restaurants and the beach!!! 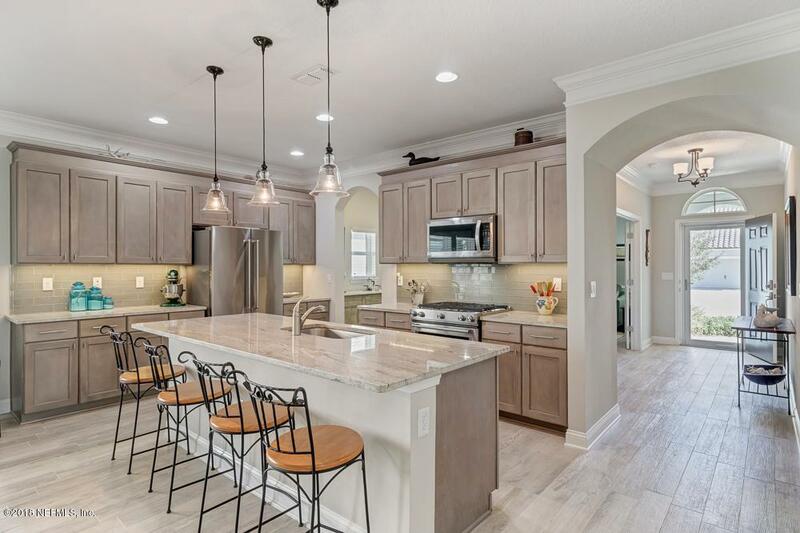 This light and bright home has tons of upgrades including tile throughout! As you enter this lovely home to the right is a den/office with french doors as well as a half bath. The foyer opens to the kitchen/family room combination featuring two step crown molding throughout. This is a great space for entertaining. 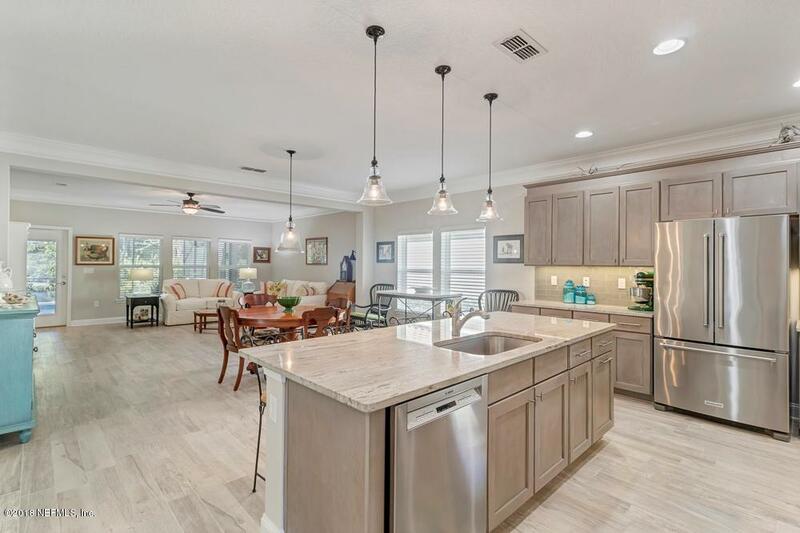 Kitchen features tons of cabinet space, upgraded granite countertops ,tiled backspash and stainless steel appliances which all convey.Spacious family room leads out to the screen enclosed lanai with salt water heated pool which overlooks the preserve. 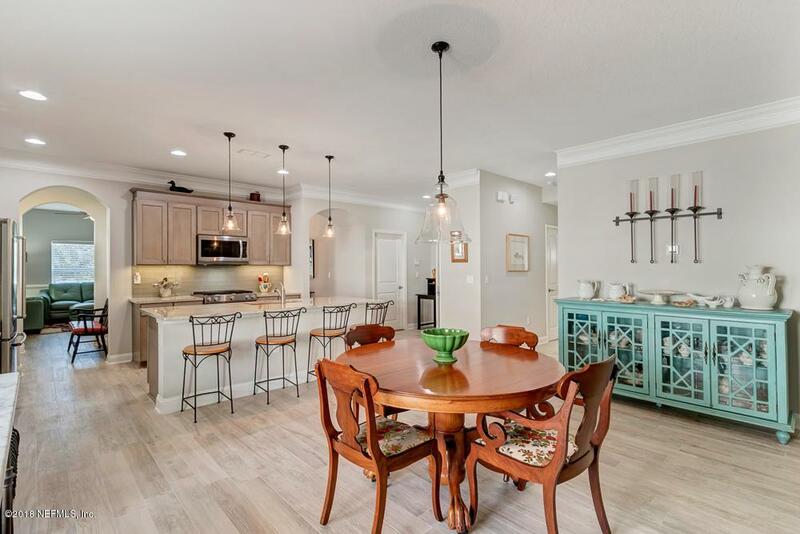 HOA fee includes basic wifi, cable and landlineLarge Master Bedroom has a spacious walk in closet, en-suite master bath which features raised vanity with double sink , large shower with frameless glass. There is an additional bedroom which also has an en-suite bath. Additional features include a water softener, LG Washer and Dryer ,solar panels large attic with walk up stairs , slate tile roof. This meticulously maintained home is a must see, this home wont last long !!! !